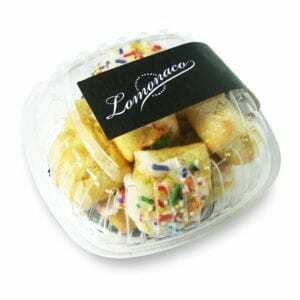 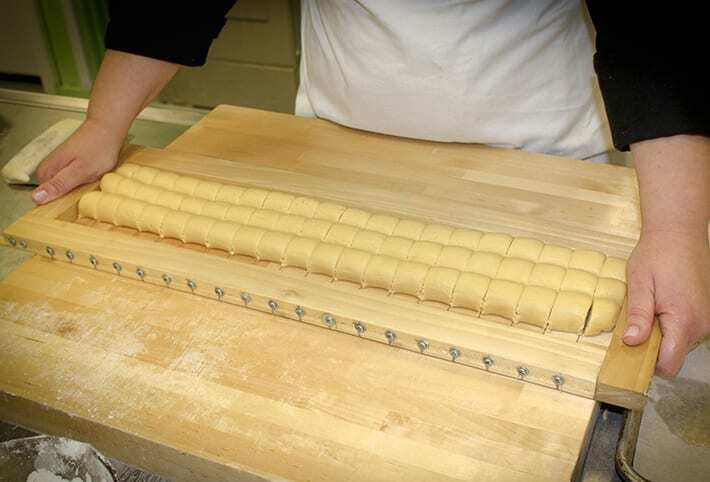 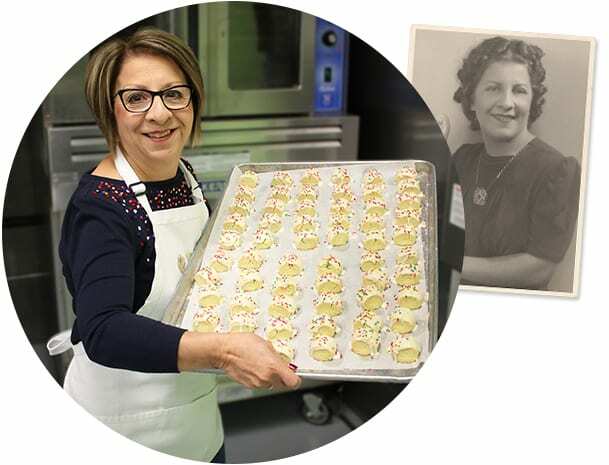 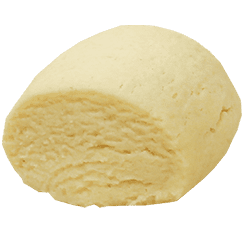 Lomonaco Sicilian Cookies | Conceived in Sicily, made in West Michigan! 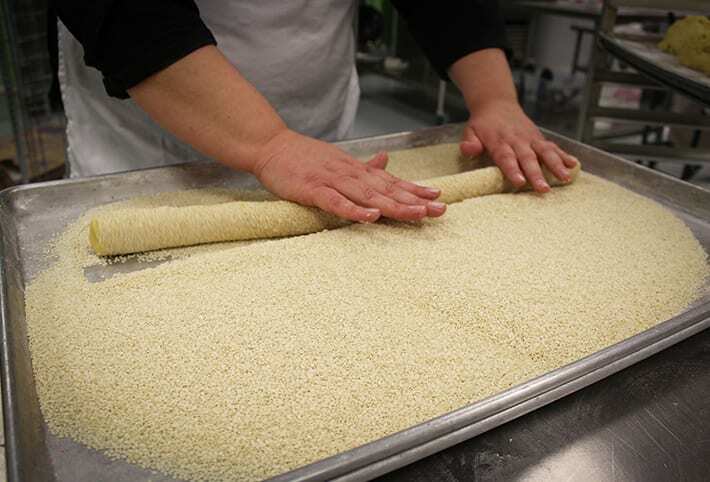 Conceived in Sicily, made in West Michigan! 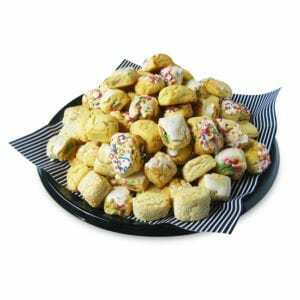 Sicilian Cookies have become very popular in this country, but Italians have been enjoying them for ages. 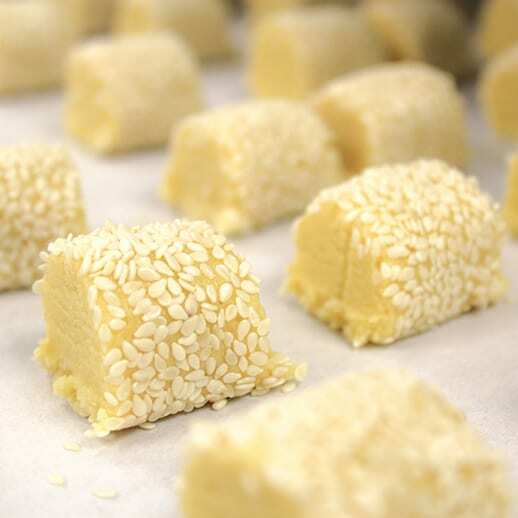 Historians trace their origin to little cakes made with honey and nuts that were eaten by Romans on festive occasions. 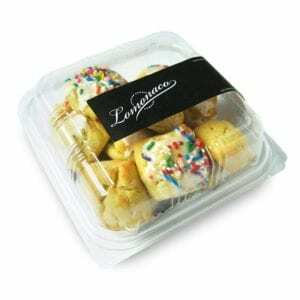 Italians eat cookies for breakfast, as a snack with coffee or milk, after a meal or for special celebrations and occasions. 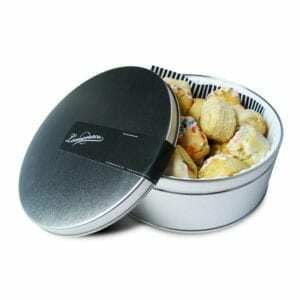 There are different varieties of Sicilian cookies. 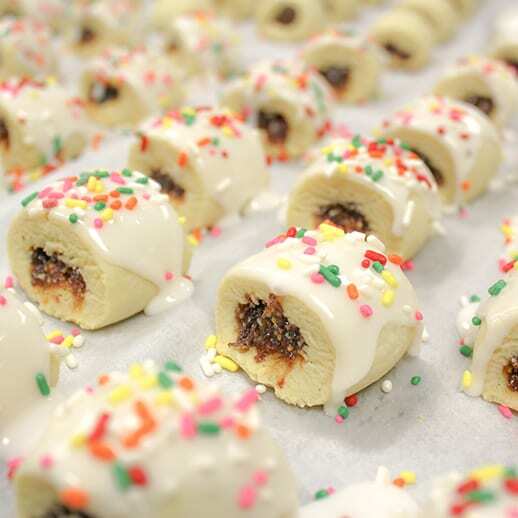 Some are delicate and some are hearty, but all are delicious and fun to eat. 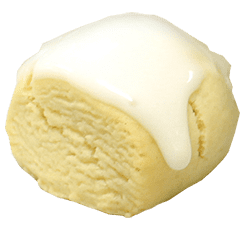 Ours are pure fantasy! 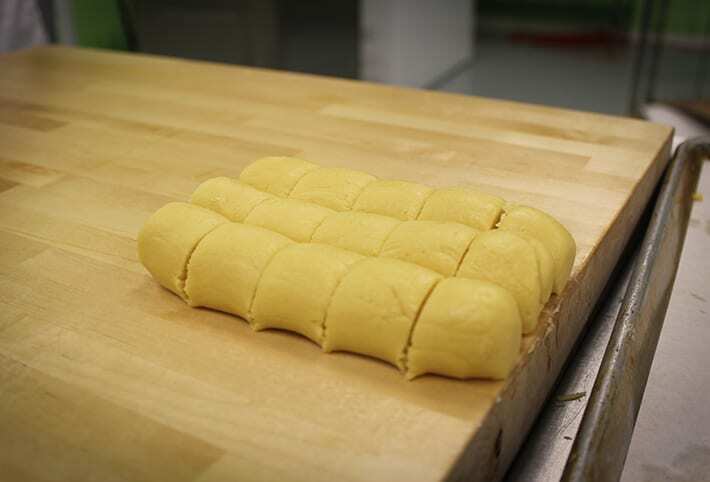 All our dough is almond flavored. 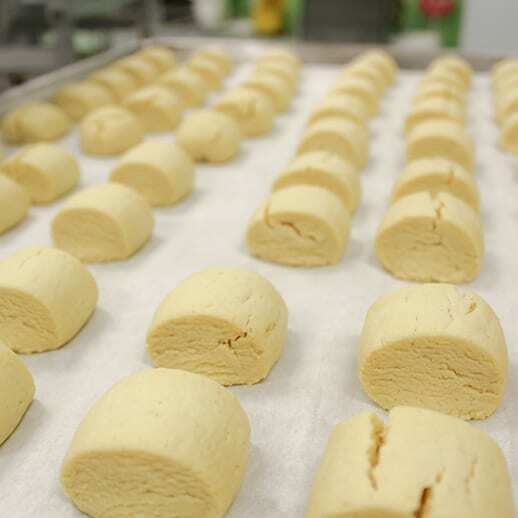 When baked our cookies are slightly crisp on the outside and tender on the inside. 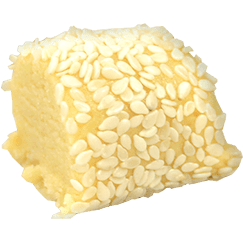 Try some! 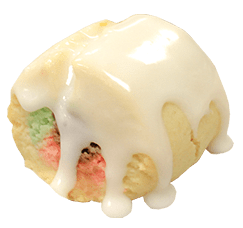 This cookie is hand dipped in frosting and rainbow sprinkles to give it a festive look. 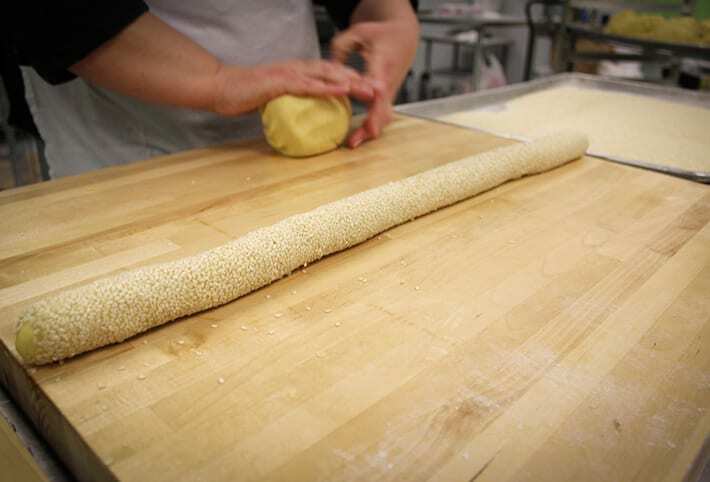 Rolled in sesame seeds this cookie is a traditional favorite. 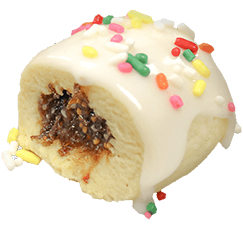 This cookie is stuffed with a fig, date and raisin filling, then hand dipped in frosting and rainbow sprinkles. 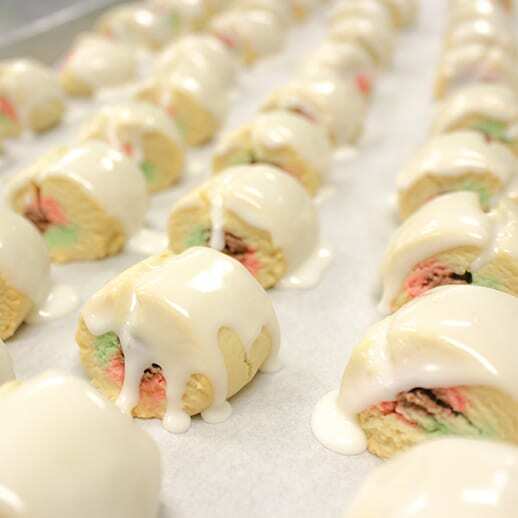 Hand dipped in frosting this cookie is truly delightful. 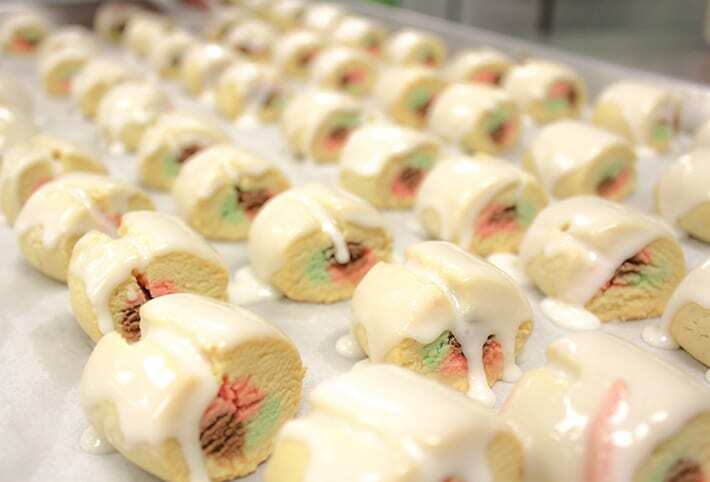 This cookie is stuffed with three different colors of our dough, then hand dipped in frosting which gives it a unique look. 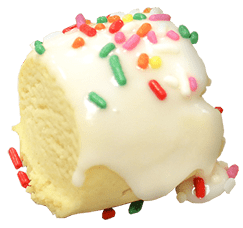 The simplicity of this cookie makes it a true favorite. 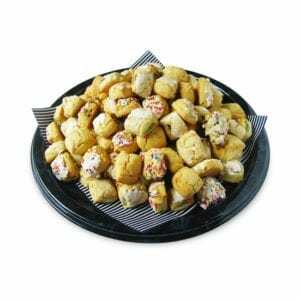 Want to know more about our company or want to order bulk for your office or party? 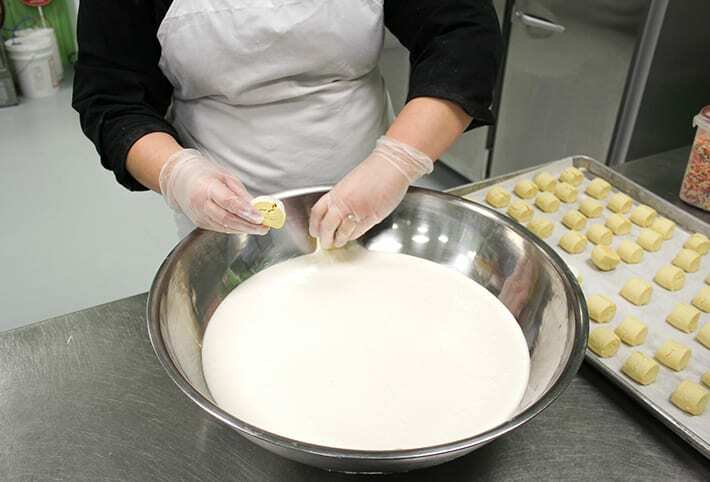 Reach out to us and we'll gladly assist you. 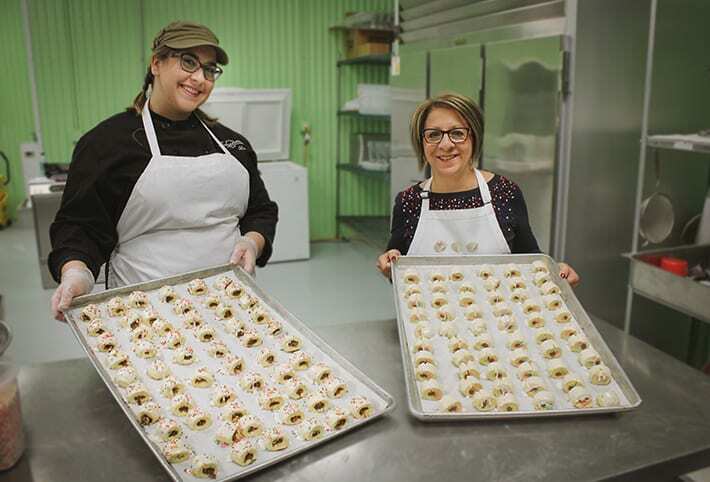 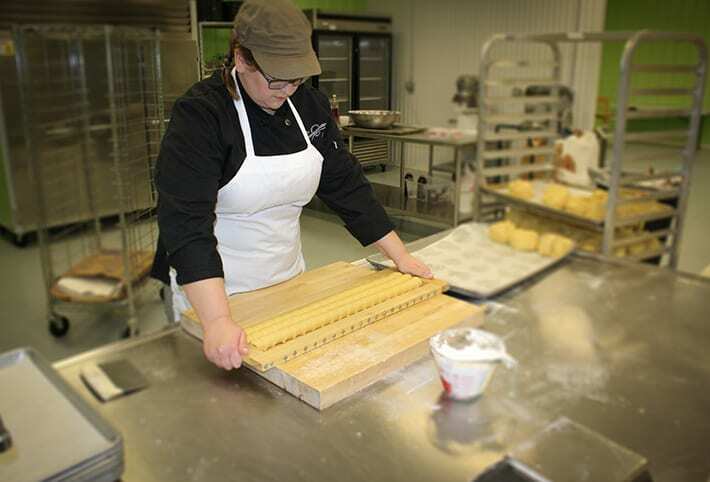 Our cookies are made with love in the Grand Rapids, Michigan area.